On Wings of Eagles: Are You True to Your Word? Part of the unspoken code among the settlers of the American West was that a man always kept his word. That explains why Andrew Garcia made a 1,300-mile trek in 1879 to pay a debt. In September of the previous year he had bought supplies in Bozeman, Montana, to hunt buffalo. The 10 pack-mules, ammunition, food, and gear cost him $300 more than he had, so a merchant loaned him the rest. He promised to pay it back by January 1. The winter snows came early that year, however, and Garcia couldn't get back to Bozeman. His travels took him through Colorado and down into New Mexico. Finally, a year later, he headed back to Bozeman. "Don't bother," his buddies told him. But Garcia believed in keeping his word, so he returned and paid the debt. 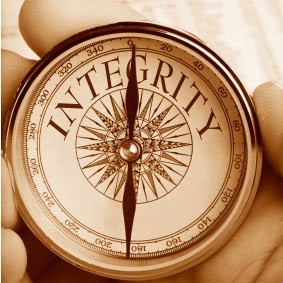 Followers of Christ should also be known as people of integrity. If we say we'll help with a Sunday school class, or assist in the nursery, or spend time with a family member, or complete a job as agreed, do we keep our word even if something better comes along? Are we true to our word? Dear Lord, we pray that we would be people of our word. Help us be true to our word. In Jesus’ Name, Amen.